Hitters need to practice rhythm and timing. By practicing with a live arm, a hitter is able practice timing by watching the pitcher's wind up and release point. But it's impractical. The hitter can take more cuts than the pitcher can deliver. Any good hitter will tell you, he needs to trust the delivery of the ball, so he can get rhythm and timing. in other words, nobody wants to practice with a wild pitcher or pitching machine. A hitter who can trust the location, speed, and consistency of delivery of the ball can really focus his attention on perfecting his swing. For example, why do players like front toss? The controlled movement of the ball gives hitters the opportunity to focus on their swing, while still engaging with a moving ball. Granted, machine wheels look different than a moving arm. Seeing an arm in action is important, no question. Which brings us to the reason hitters don't like wheels—they miss out on rhythm and timing. Undoubtedly, hitters get rhythm and timing by gauging the action of the pitcher's arm, in order to sync their swing with the ball. So what could be the downside of batting practice with a live arm? Simply, there are a limited number of good reps one can get with a good pitcher. In order to fill the gap of great live BP and short toss, FungoMan set out to answer that practice problem by developing a patented lighting system that consistently delivers the ball in a specified amount of time. Thus, rhythm and timing along with a consistent delivery time provide the cues for a hitter to develop. Finally, we know that pitcher beats machine every time, because it is the most similar method of practicing game-like hitting. However, when the pitcher either stops throwing consistent strikes, or just is too tired to continue, FungoMan can still deliver timely and consistent reps needed. Why go with a pitching machine when you could have a live arm? If the live arm could give the hitter a strike EVERY SINGLE TIME, we wouldn't need a pitching machine. But the hitter doesn't want to wait when the live arm gets tired. He doesn't want to take a break; he wants the live arm to keep throwing until he wants to quit. Can the live arm always be available whenever he wants? Can the pitcher be there tomorrow at 10am, while coach is teaching class? Can the coach be there before practice, when a hitter wants extra work? Can the live arm stay late when everyone else is gone, and the hitter wants to get better? No. The live arm isn't always available, and when it's not, FungoMan will be there with the provided opportunity to still get rhythm and timing with consistent pitches. CONSISTENCY: Strikes every time. Curve balls every time. Want front toss? Set up FungoMan next to homeplate. 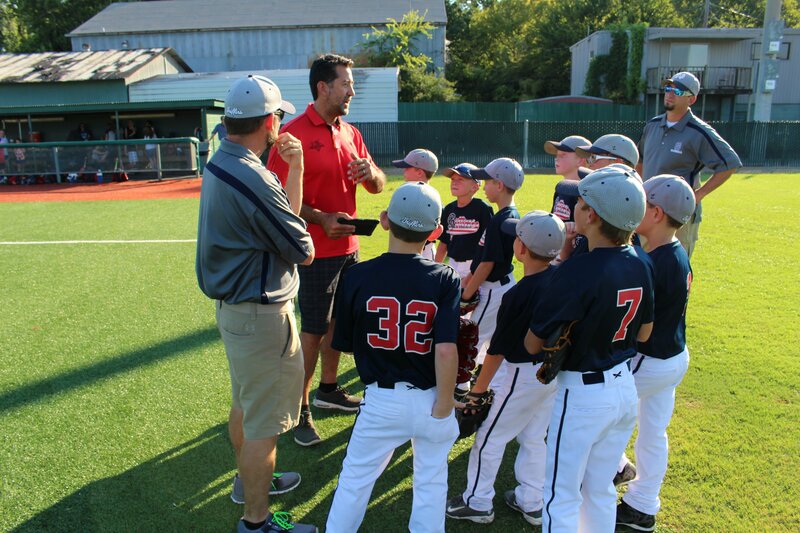 Want to give fielding instruction next to your infielders, while running batting practice? Set up FungoMan on the mound. Want to improve your team batting average with curve balls? Set up FungoMan at 60ft from home. Want to have a few extra seconds between pitches? Set it from 5-8 seconds. Want to get 100 cuts without stopping? FungoMan can hold 300 balls. FungoMan as a pitching machine, is consistent, automated, doesn't get tired, and provides rhythm and timing. Batting practice just got better. Ayyyyyyy 🚀🚀🚀 #Repost @legendssportsacademy ・・・ Working on keeping the the hands inside the ball with the @fungoman with coach Delgado! Hitting opposite field rockets 🚀! !